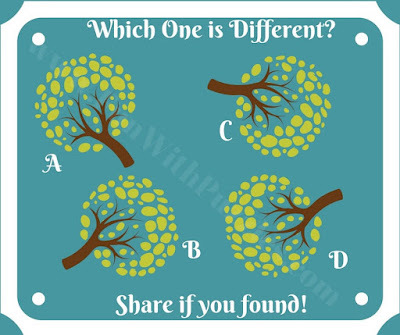 There are many different picture puzzles on this website. 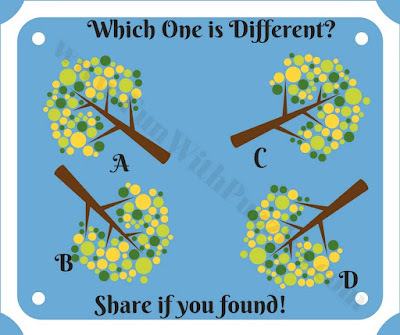 There are picture puzzles in which one has to find mistake in given pictures. There are puzzles in which one has to find which number is different from other given numbers. 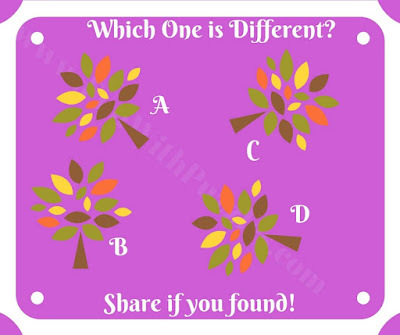 There are puzzles in which one has to tell which alphabet is different from other given alphabets. There are picture puzzles to solve parking slots in which one has to tell where the particular vehicle has been parked which can be deducted from looking the the sequence of parking numbers which are still not parked. Also there are picture puzzles with hidden elements such as hidden animals picture puzzles in which one has to find the hidden animals in the given pictures. Also there are puzzles in which one has to find out hidden letter in the groups of given letters. 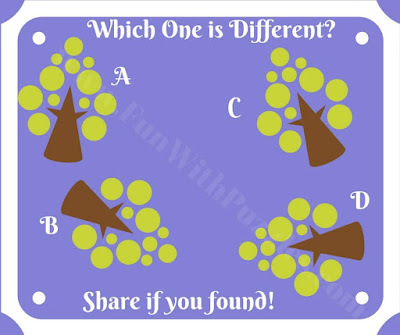 Today's picture puzzles are based upon Odd One Out genre. 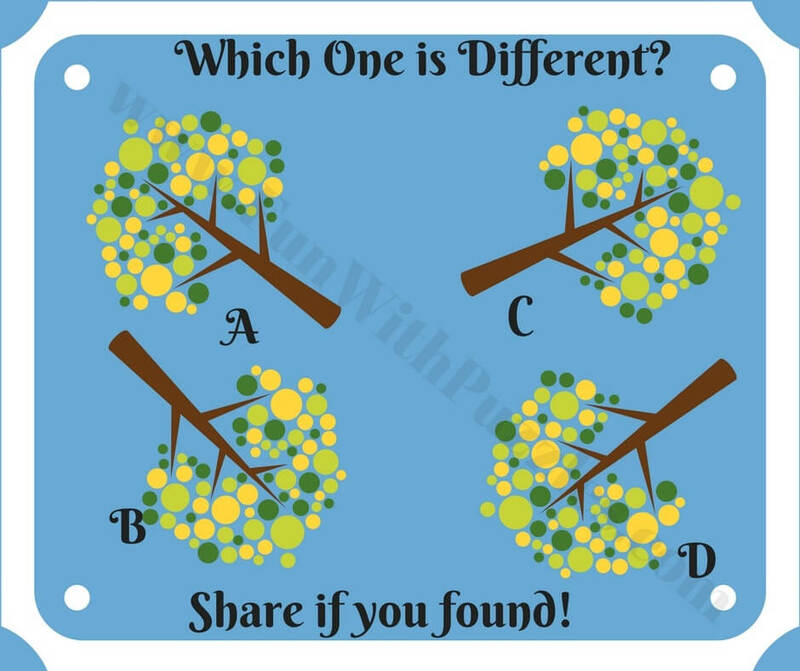 In theses puzzles four pictures are given which looks exactly alike. However there is one minuscule but significant difference in one of the picture which makes that picture different from other three pictures. 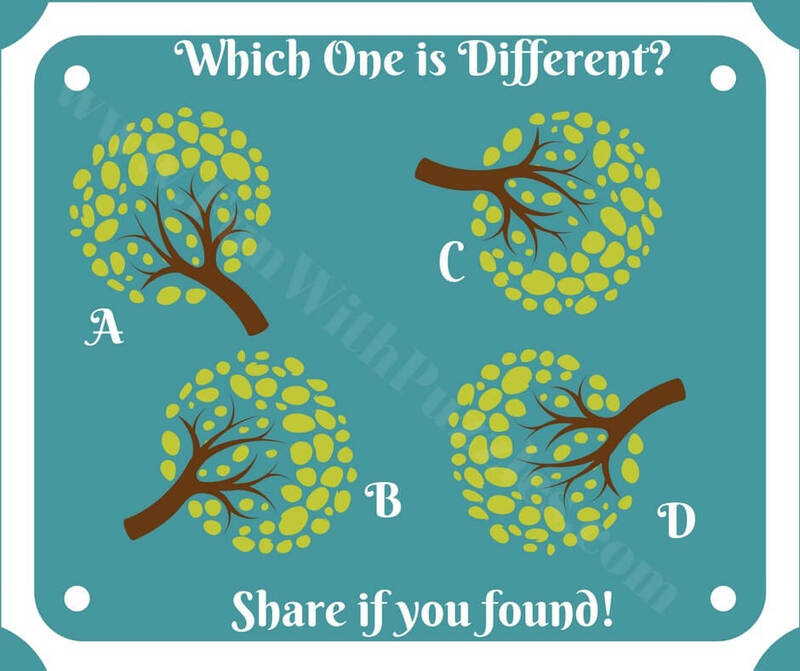 Your challenge is to find this difference and thus mark out odd picture out. 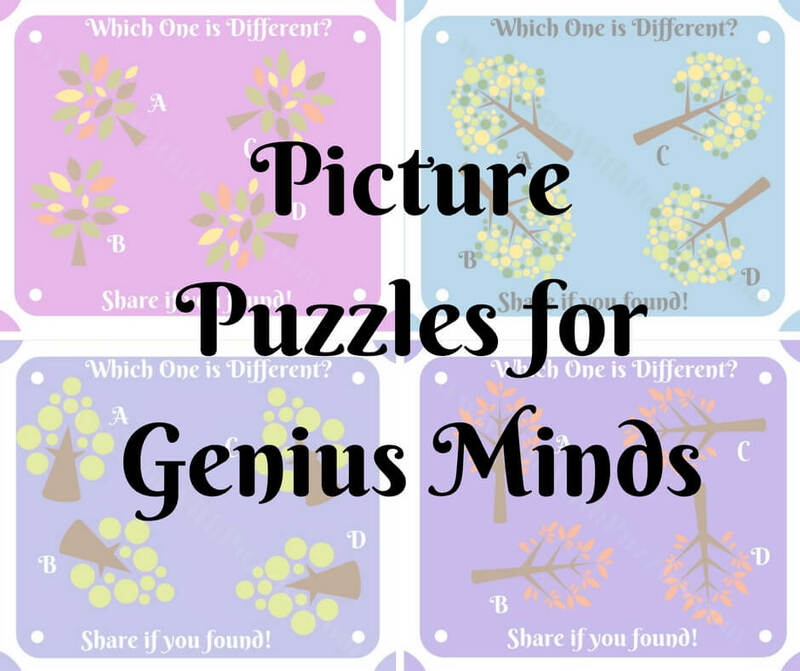 These are the tough puzzles for Genius Minds. Do not get discouraged or dishearten in case you are not able to solve these puzzles. There are enough puzzles in Odd One Out Puzzle types which are easier than today's puzzles. 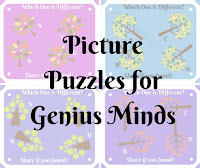 Do try all these puzzles and then you can come back try these very tough puzzles. Answers to these puzzles will be given later. However to post your request in the comment section in case you are looking forward to answer to any of these puzzles urgently :). 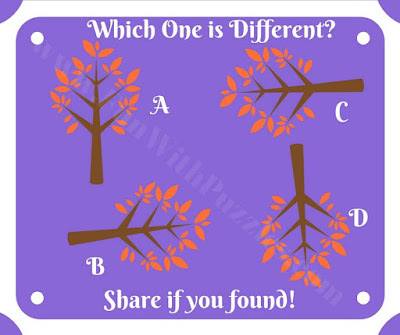 Also do share these puzzles with your friends and family members so that they can also enjoy the challenge to find which one is different? Lets start this challenge with an relative easy puzzle to get you started. As we move to the next puzzles the puzzles will start getting tough. Don't jump to the next puzzle if you are not able to solve this one as the next puzzles are tougher than this puzzle. 1. Can you find odd one out? First puzzle was easy and was meant for warm up to a harder challenge. Next one also not very hard. However it is tougher than the previous puzzle. Lets see if you can solve this puzzle also with ease? If you are able to solve previous two puzzles easily then its time to take harder challenge. Next three puzzles are hard. Lets try this puzzle which is little tricky and confusing. Hopefully your genius mind will be able to crack this puzzle quickly. 4. You have great mind if you can find odd one out! If you are able to solve previous four puzzles then lets try the last one which is of same difficulty level as the previous puzzle. This puzzle is for genius people. You have great IQ if you are able to solve this puzzle correctly. 5. 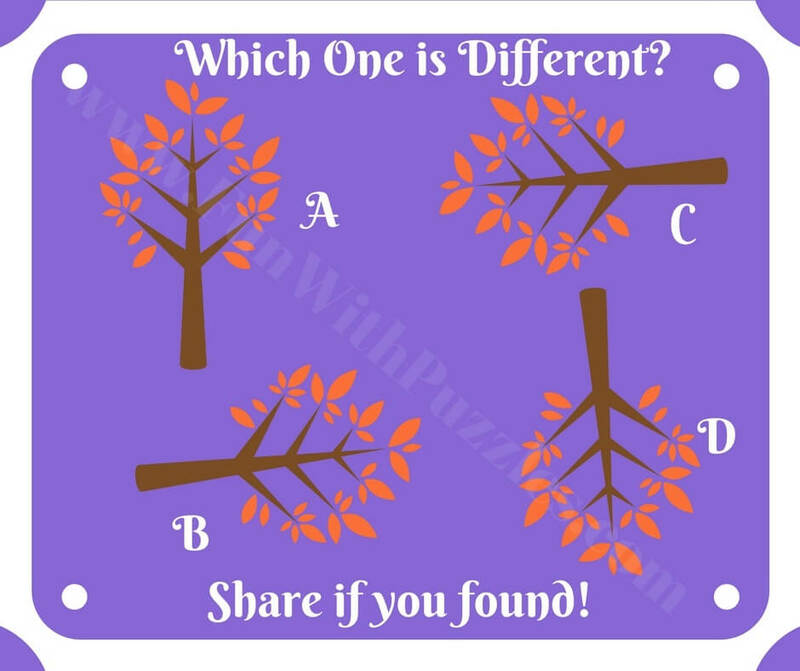 Genius puzzle to find odd one out!